“Custom-made” is the hottest lifestyle trend right now, with everything from our newsfeeds to sneakers tailored to our exact, individual tastes. The snowflakes that we all are, with Netflix even our entertainment destinations are personalized, with recommendations based on what and how we’ve watched before. If you think it’s a gimmick, just try sharing your Netflix password and allowing someone else to use your Netflix profile! With powerful algorithms, you can help Netflix help you discover new and exciting content tailored for you. Help Netflix personalize your experience even better by taking control: a simple thumbs-up and thumbs-down lets you shape your recommendations and provide active feedback on what you really love. 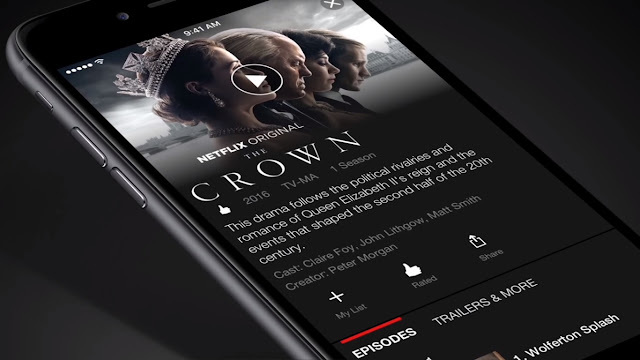 A thumbs-up tells Netflix that you like something and want to see similar suggestions and a thumbs-down says you aren’t interested in watching that title. In either case, using thumbs will help you get recommendations for the shows and movies that you want to watch. Additionally, each title will have a personalized match % catered to your unique taste. You can now teach Netflix what you like and be amazed with titles you'd love. With this personalized rating you can get the best recommendations on Netflix for you and not have to look at shows and movies your friend, spouse or ex (God forbid) viewed. Thumbs up your guilty pleasure and the documentary you loved to get the best match in both categories. No matter what your taste is, there will always be something for you to watch. You are going through a tough breakup and the last thing you want to see are the shows you watched together - a few well-placed thumbs will get rid of those and help you discover new favorites like Riverdale and 13 Reasons Why. Obsessed with the K-Drama that you saw, a thumbs up will make sure you have a lot more to watch. You can have five individual profiles within a single account so make sure you get your own profile so avoid a thumb war. So use those thumbs to get the best match for you.